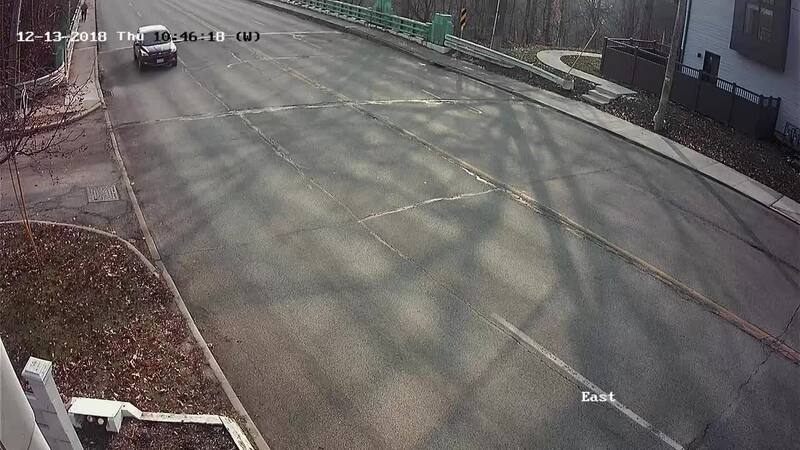 FAIRVIEW PARK, Ohio — A day after our reporting about someone removing hopeful, handwritten suicide prevention notes along the Lorain Road Bridge, Fairview Park police released videos and photos of the man they believe removed the signs. Video shows the man cutting off and removing hundreds of the suicide prevention notes and tossing them in a nearby trash can. Police said he could face criminal mischief. The mayor of Fairview Park said the women who originally put up the signs can put them back up on the bridge. In the last five years, records from the Cleveland Metroparks reveal at least seven people have committed suicide from the bridge. Police have talked down dozens of others. A local mother whose daughter died by suicide in 2004 has been working for years to get protective fencing for the bridge. According to ODOT officials, construction will begin on the project in early 2019, with a projected completion date of August 2019. The project will consist of protective fencing standing nearly 10’ feet tall, lighting, painting and other minor work, ODOT said. The National Suicide Prevention Lifeline can be reached by calling 1-800-273-8255.